Editor’s note: This article is an update from our original posting in February, 2016, with an updated link plus photo and reference to an excellent article about the designer. k5-jkt. 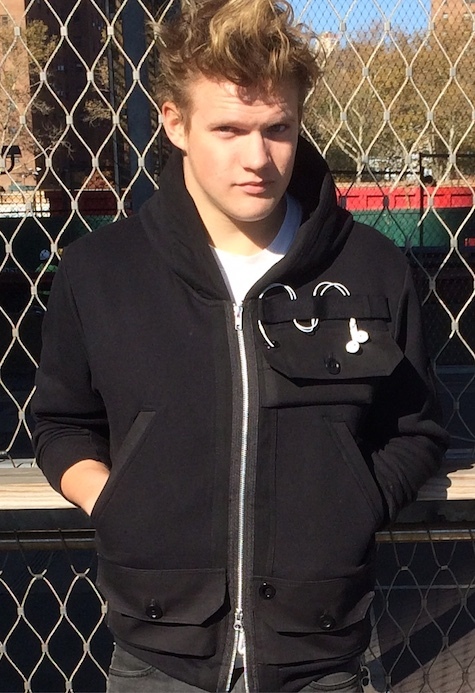 by kiger is the best hooded sweatshirt I have ever worn and used. It’s warm, comfortable, versatile, attractive, and unique in several ways. The sweatshirt fabric is thick and cozy. Construction is robust. 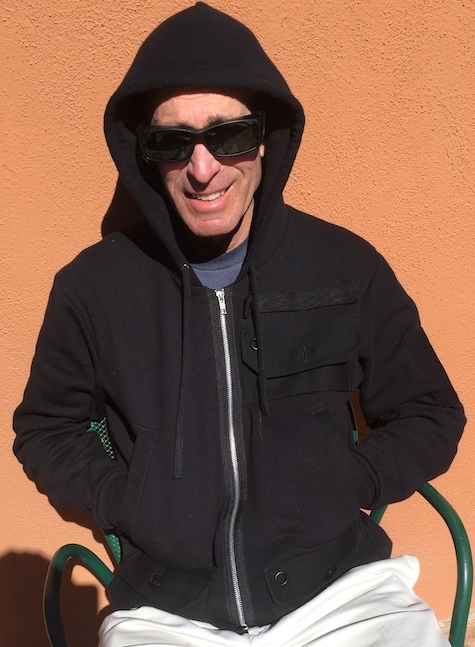 Pockets are well-placed for both techie and traditional hoodie purposes, including extra-deep hand warmer pockets and a secret iPad mini pocket on the interior, in addition to iPhone and iPod pockets. The designer tells MyMac why he uses buttons on his pocket flaps: “I love buttons. Buttons are easier to fix to sew back on by hand. Also the button material is same military issue melamine. 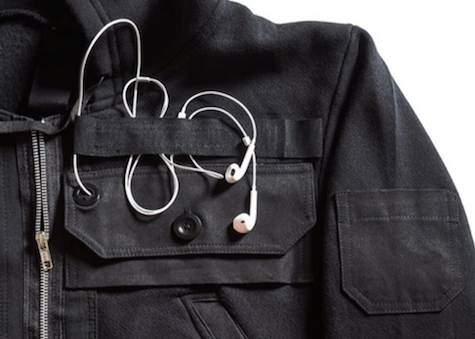 Stronger than plastic and flame retardant.” Strategic grommet holes in two button flaps allow headphone cables to be secure and easy to access at all times. An unusual velcro strap above the chest pocket helps keep cables in place. He adds: “You can lift the phone out of the pocket easily and there is also a cute pocket on the sleeve for small incidentals for quick quick access as well. There is a size chart on the campaign page.” The web page for k5-jkt. by kiger has excellent photos of everything described here and more. There is a video of the jacket in action in New York City. No skateboarding skills are required. My favorite feature is a double zipper that zips both from the top and the bottom. Why have most outer garment manufacturer’s stopped including a double zipper? It is so handy! 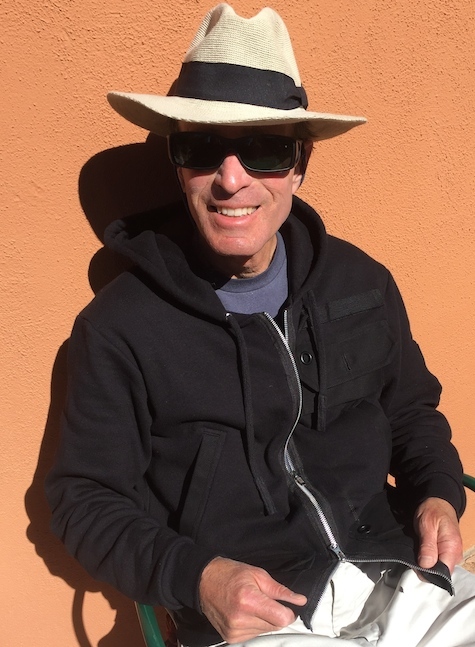 The prototype jacket that Kiger Hansen provided for review is solid Knight Black. One additional color is available: dark Venice Navy, an excellent name. Discuss sizing with Kiger before you order, because as Weird Al says, if you don’t like it you can’t send it back. Update! An outstanding article about Kiger Hansen has been published in Huffington Post. It’s a great read. Why Does Your Business Need to Utilize SEO?